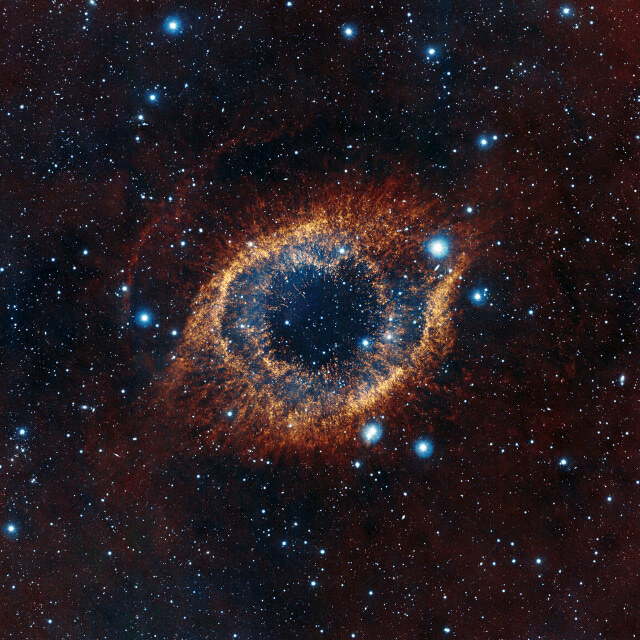 The European Southern Observatory's Visible and Infrared Survey Telescope for Astronomy, or VISTA, captured this unusual view of the Helix Nebula, a planetary nebula located 700 light-years away. The colored picture was created from images taken through three infrared filters. While bringing to light a rich background of stars and galaxies, the telescope's infrared vision also reveals strands of cold nebular gas that are mostly obscured in visible images of the Helix.